Who is John Dickinson and why you should know him and his work. John Dickinson is a 20th century designer who died in 1982. He was a top decorator in San Francisco during the 60’s and 70’s known for his monochromatic interiors, but his real legacy today is his highly original furniture pieces. 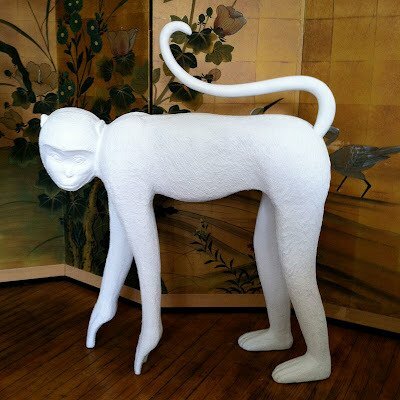 Dickinson’s work is whimsical. 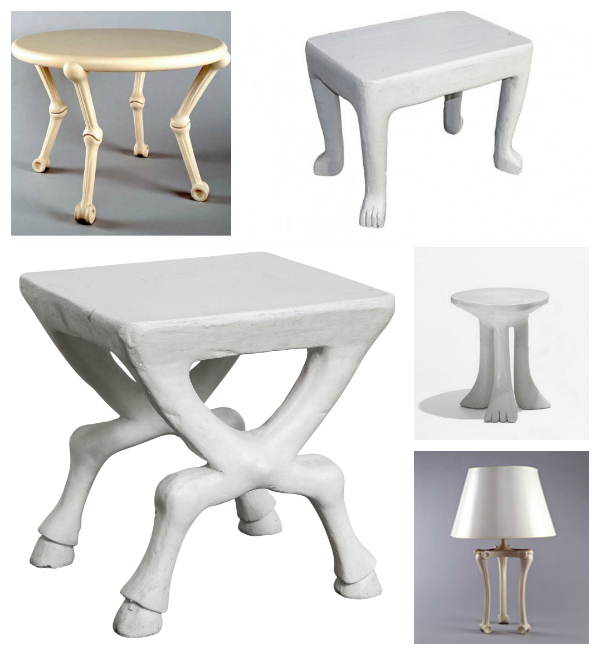 He plays with trompe-l’oeil to create objects out of concrete and steel that evoke animal-like legs, femurs, tree branches and table skirts. Although considered “innovative” and “modern ” he drew on historical motifs including classical, African and Art Deco influences. His signature chalk white finish directly relates to the work of 1920’s-1930’s designers Jean-Michel Frank and Serge Roche (future Designer Who’s Who subjects). His Etruscan chair c. 1975-1979 currently on offer at Todd Merrill is a great example of how Dickinson plays with history. Dickinson intended the chair to be a reinterpretation of a Georgian claw-foot chair from the 18th century. 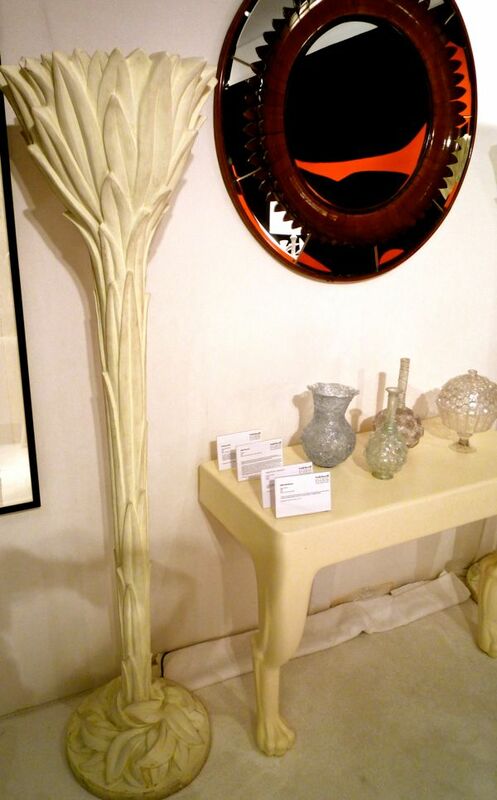 I spotted a c.1980 Dickinson console at Todd Merrill’s booth at the 2013 International Fine Art and Antique Dealers show in between a pair of 1930’s torcheres by Serge Roche that clearly show Roche’s influence on Dickinson’s trademark chalk white finish. Here are some other examples of Dickinson’s work. 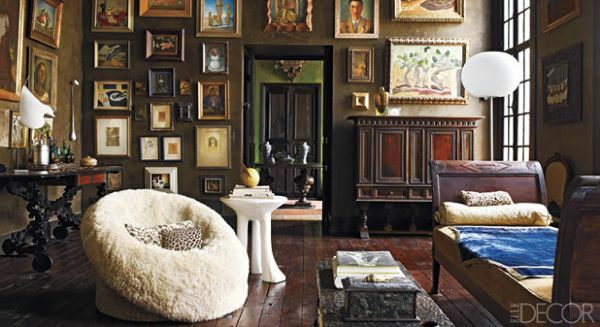 Today John Dickinson’s furniture, priced in the thousands, is highly sought after by collectors and is found in the chicest homes. John Dickinson lamps atop an Aldo Tura console. 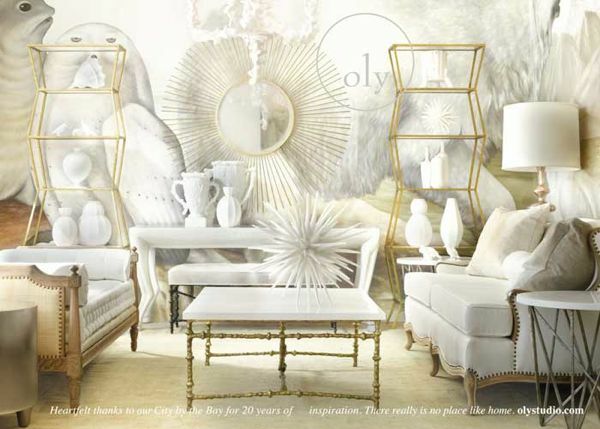 Beverly Hills home of architect and designer Daniel Romualdez. A more affordable option for John Dickinson furniture can be found at Sutherland, who have reissued many of his pieces in more durable materials. Of course, John Dickinson has inspired many, particularly that chalk white finish of his. 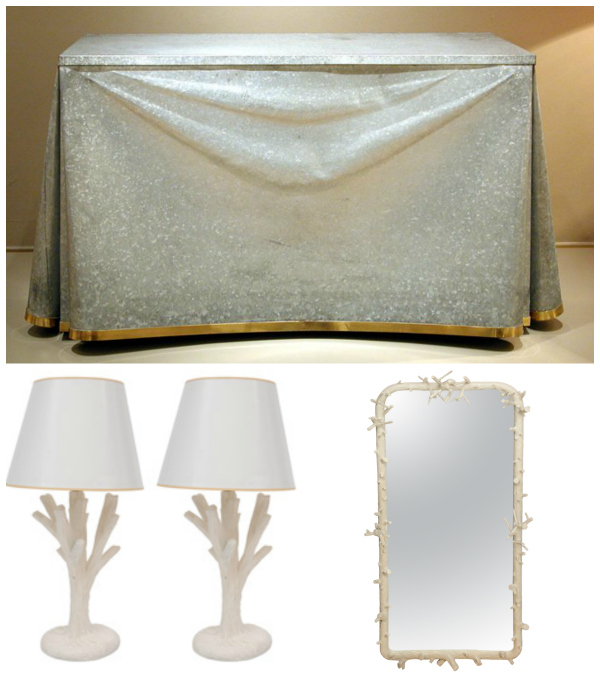 The “Tabouret Chevre” bench below is part of the A La Reine Collection by Myra Hoefer Design. 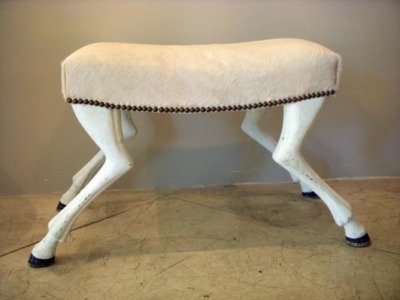 It is inspired by John Dickinson’s hooved tables and chairs. But my absolute favorite copy cat is this cheeky little monkey, spray painted by my blogger friend Christian May as a low cost homage to John Dickinson. Looks like Christian doesn’t need to read my blog (wink), but I do hope he checks in sometimes.